Α video has surfaced with a Palestinian sending his little son alone against a group of Israeli soldiers. 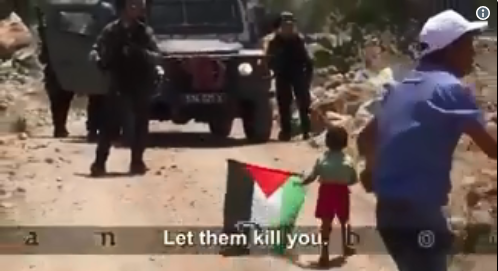 The young boy holds a Palestinian flag and heads towards the soldiers as they are calling on the father to take the child and move away. He, however, responds by shouting to them: “Shoot him, you’re good at this”.